I have over 8 years experience of working in a variety of roles in mental health within the NHS. I have worked with adults, young people and their families experiencing a range of difficulties, helping them to make sense of these and to move forward in their lives. In my experience, I have worked with people facing difficulties such as depression, anxiety, phobias, obsessive compulsive behaviour, bereavement, relationship difficulties with families and couples, gender dysphoria, disturbing and unusual experiences such as psychosis and trauma (PTSD). Alongside this, I have also supported people with the social and psychological effects of medical conditions such as cancer. 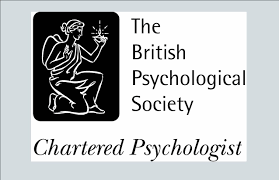 I am a registered Clinical Psychologist with the Health Care Professions Council (regulating body for Clinical Psychologists) and registered with the British Psychological Society as a Chartered Psychologist (CPsychol). I have experience and skills in carrying out psychological assessments and consultations with adults, young people and families with problems they may be experiencing. I also have delivered psychological interventions, drawing from a range of different models, which I am trained and experienced in providing. These include, Cognitive Behavioural Therapy (CBT), narrative therapy, solutions-focused therapy and providing general support and advice for clients. I value the importance of ensuring that therapy is useful to you and empowers you to make changes in your life. The first session will consist of learning about what brings you to meet with a psychologist and agreeing goals that you would like to achieve from our work together. This will help us to work out how many sessions will be needed for our work together to be successful. From my experience, I recognise that living with mental health problems and various other difficulties can be overwhelming and have a significant impact on a person’s wellbeing, working life, personal relationships and outlook for the future. As such, working with me will always be driven to support you in moving towards your preferred goals.